$40 Amazon Gift Card 12-Hour FLASH Giveaway!!! 24 Hour FLASH Giveaway – $40 Target Gift Card!! Welcome to the Monday Pick Me Up FLASH Giveaway. This giveaway will run for 24 hours so ENTER while you can! Join Us To Win This GREAT Target Gift Card!! * NOTE: You can choose PayPal or Amazon GC instead of the Subway GC if you are the WINNER!!! Kindle Fire Giveaway From SavingStar & MDM – 10/10-10/24!!! Welcome to the Project 7 Giveaway brought to you by Free is for Me and Linda’s Angels. This giveaway allows us to introduce you to quality products that do more than just put a smile on your face- they put smiles on other people’s face by supporting 7 different charitable projects!! 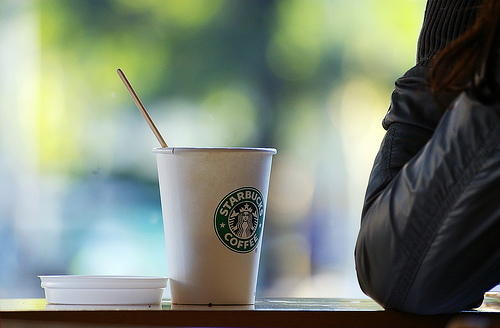 Project 7 can be described in 3 simple words, “PRODUCTS FOR GOOD”- seems simple enough- Right? But they are missing a few words in that description and those are “Quality”, “Yummy”, “Tasty”. Now it is your chance to win a box of Project 7 Products!!! To read my full review on this awesome company and their products you can do so HERE. 1 Canister of Fair Trade & Organic Coffee! Giveaway Information and Legal Mumbo Jumbo: Giveaway will begin at 12:01am on 10/10/2012 and run through 12:01am on 10/26/2012. There will be only ONE winner. Winner needs to be 18 years or older and live in the contingent 48 US states. Sorry we can not deliver to PO Boxes. Winners will receive the products directly from the sponsor (Project 7) and Free is for Me, Linda’s Angels, or any of the promoting blogs are not responsible for delivery. You will receive products individually from the sponsors. Any questions should be directed at Chrissy at fifmdeals dot com. Winner will have be notified by Free is for Me and will have 24 hours to claim prize or a new member will be chosen. 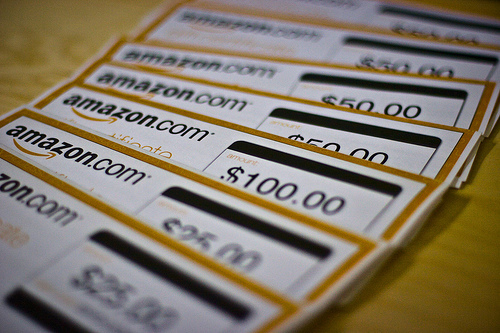 Once the winner has claimed their prize their names will be listed on the Rafflecopter. Win a Teton Sports Outfitter XXL Tent! The Prize: 1- Teton Sports Outfitter XXL Quick Tent MSRP $99.99Dimensions: 6’3″ l x 3’3″w x 2’6″ h Weight: 4 PoundsSet up time: Under 5 minutes avg. The Rules: Mandatory Entry must be fulfilled and will be verified, all other forms of entry are strictly optional, however, you will receive additional chances to win for each optional entry you complete. Sweepstakes begins on Oct. 10, 2012 at 12:01 AM and will end on October 26th at Midnight. Winner will be chosen on or after October 26th and notified via email. If winner does not respond to email within 48 hours, prize will be forfeited and a new winner will be chosen. Open to residents of the U.S. that are 18 and older. Prize will be shipped to the winner from Teton Sports. Dixieland Mom Product Reviews and promoting Bloggers are not responsible for shipment of prize. By entering this sweepstakes, you are agreeing to these rules. Entry is simple, just follow the instructions on the Rafflecopter below. Good Luck! Keurig V700 Vue Brewing System! Just like any blogger, Give Oh Giveaway , couldn’t have a fan page without you, the fan! Thanks for being here with us. Each and everyone of you matter to us! We rely on you to like, share, and enter our giveaways. I sincerely hope you enjoy this opportunity to win an awesome prize valued at $229! A big huge THANK YOU to the bloggers that are helping with this great giveaway! Enter this nice giveaway and win a nice coffee & tea making system – I have one & just love it!! 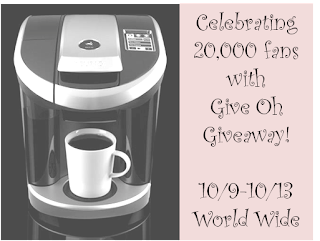 Also help us congratulate Give Oh Giveaway for reaching the 20K milestone!!! I am happy for you Cj!! Disclaimer: Linda’s Angels is not responsible for prize fulfillment. I did not receive any compensation for sharing this giveaway. Facebook Follow Page 1 For Teton Sports Event Starts 10/10!! !